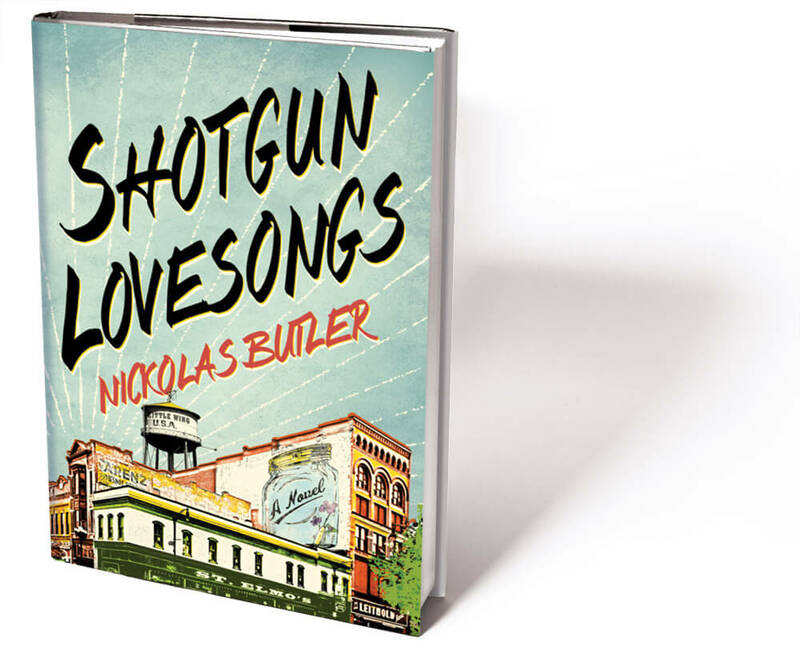 Nickolas Butler ’02 of Fall Creek, Wisconsin, is having great success with his debut novel, Shotgun Lovesongs (Thomas Dunne/St. Martin’s Press): it’s become a national bestseller; Fox Searchlight has purchased the film rights; and People says that it “sparkles in every way. 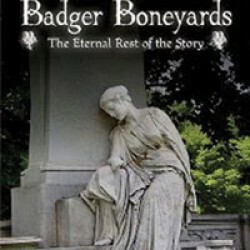 A love letter to the open, lonely American heartland… A must-read.” It’s the tale of four male friends who came of age together in a tiny Wisconsin farm town. Now in their thirties, they examine their lives’ diverse paths, with a focus on the character inspired in part by Butler’s high school friend Justin Vernon: the musician Bon Iver. A century has now passed since World War I began. Mark Van Ells ’90, MA’92, PhD’99 asserts that the world has largely forgotten America’s role in the colossal struggle, and he aims to change that through America and WW I: A Traveler’s Guide (Interlink Books), dedicated to longtime UW history professor Edward Coffman. 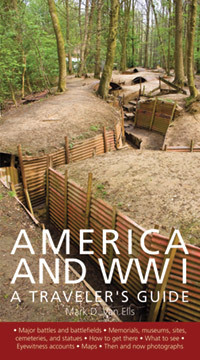 Van Ells shares the accounts of doughboys as they moved from U.S. training camps to the European front lines, traces the American experience, and takes readers to battlefields, memorials, and unmarked sites. 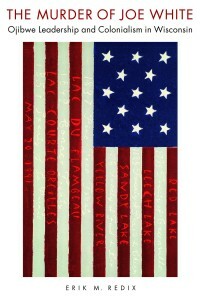 Van Ells is a travel writer and a professor of history at Queensborough Community College of CUNY in Bayside, New York. 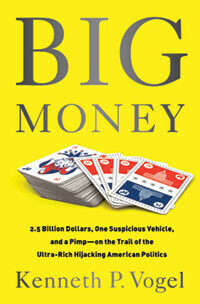 Kenneth Vogel ’97’s years covering the intersection of money, politics, and influence as a Politico reporter in Washington, DC, have given him plenty of fodder for his “rollicking tour of a new political world dramatically reordered by ever-larger flows of cash.” His book is Big Money: 2.5 Billion Dollars, One Suspicious Vehicle, and a Pimp — on the Trail of the Ultra-Rich Hijacking American Politics (PublicAffairs). Vogel has won numerous journalism awards and analyzes politics on national television and radio. 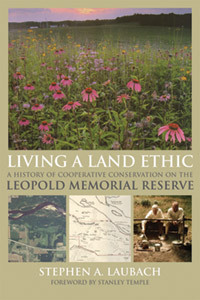 Madisonian Stephen Laubach MS’00, PhD’13 has devoted his new novel, Living a Land Ethic: A History of Cooperative Conservation on the Leopold Memorial Reserve (University of Wisconsin Press), to the history of the 1,600-acre reserve surrounding the revered naturalist Aldo Leopold’s famous “shack” and to its stewards. The shack — a laboratory of sorts — was where Leopold found the inspiration to write his iconic A Sand County Almanac. Laubach also unearthed rare footage of Leopold fly-fishing, available at stephenlaubach.com/living-a-land-ethic. He works for the UW Arboretum’s Earth Partnership program. 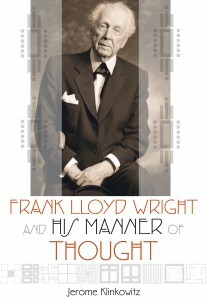 As an authority on twentieth-century literature, thought, and culture, Jerome Klinkowitz PhD’70 has examined the writings of Frank Lloyd Wright x1890 to link “his organic architecture with literary (as opposed to architectural) postmodernism.” In Frank Lloyd Wright and His Manner of Thought (University of Wisconsin Press), Klinkowitz contends that it’s Wright’s importance in cultural history — his concepts for living that transcend architecture — that makes him the object of such fervent interest. Klinkowitz is a University Distinguished Scholar and professor of English at the University of Northern Iowa in Cedar Falls. It’s inevitable that we will all undergo some form of trauma, whether mild or severe, during our lifetimes. Psychologist and trauma expert Debra Weinberg Tasci ’79, MS’81 of Golden, Colorado, has co-authored the Trauma Recovery Handbook: A Recovery Guide for Yourself, Your Colleagues & Those You Love, Second Edition (self-published) to identify the symptoms of damage from a range of traumatic experiences and to provide insightful, direct advice that can help the sufferer begin to heal. 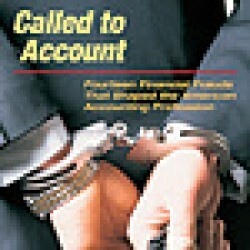 Tasci has been on staff with Nicoletti-Flater Associates since 1996. 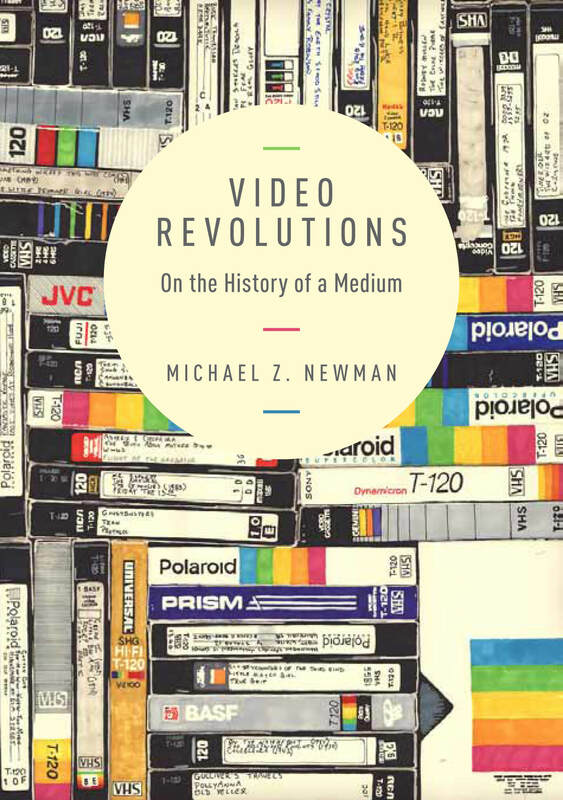 Video — the name we now give to all kinds of moving images — is the subject of UW-Milwaukee associate professor Michael Newman MA’00, PhD’05’s new work, Video Revolutions: On the History of a Medium (Columbia University Press). 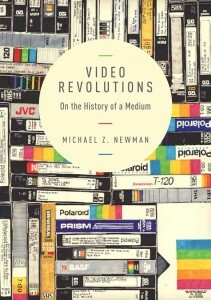 In it, he explores the shifting roles, legitimacy, and value of video in culture, society, and moving-image-media industries as an artistic medium, high-tech gadget, format for entertainment, force for democracy, and documenter of reality — especially in relation to film and television. Allowing himself three months and $500 per week, Ben Ballweg MPH’ll backpacked through nine South American countries and Antarctica. 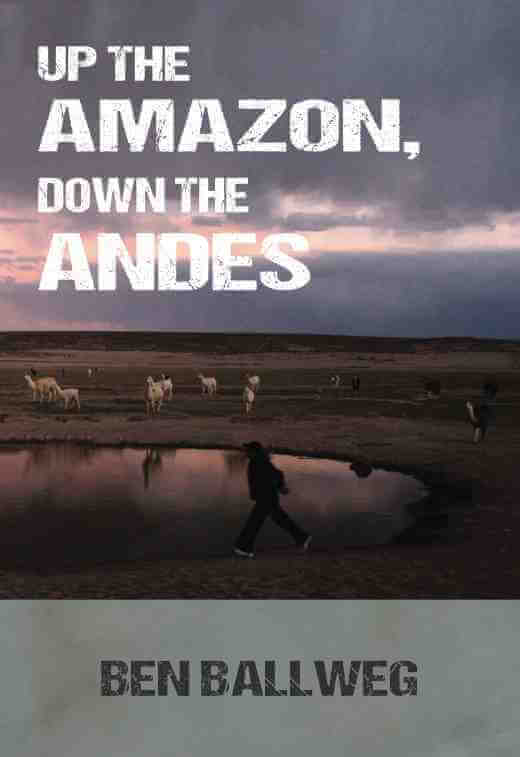 Up the Amazon, Down the Andes (CreateSpace) is his chronicle of that adventure, in which he also profiles one person whom he met in each South American country. 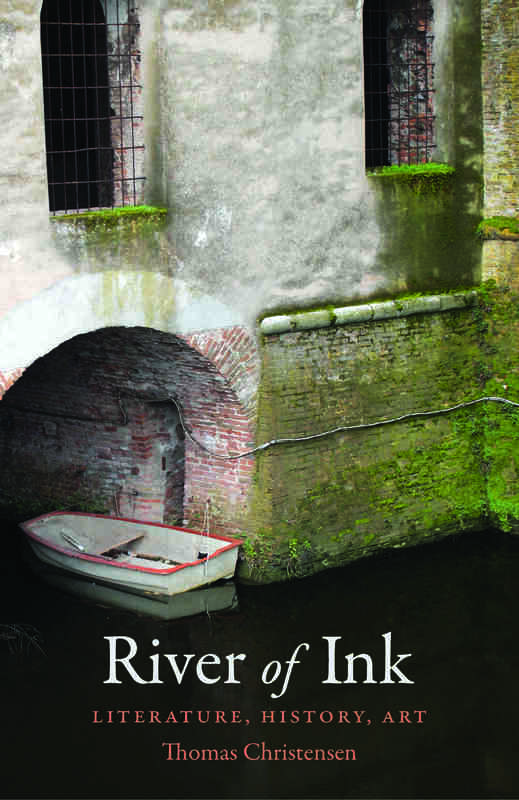 During the summer of 2014, Ballweg promoted the book at Hostelling International network hostels by biking up the California coast, returning to Wisconsin, and then traveling around the East Coast. Next stop? He’s planning a year in Haiti starting this winter. 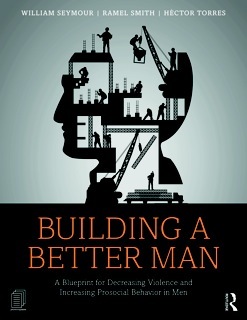 Building a Better Man: A Blueprint for Decreasing Violence and Increasing Prosocial Behavior in Men (Routledge) presents a practical, science-based discussion of masculinity in modern America, but it also blends a diverse group of compelling personal stories with an exploration of the external forces that affect the socialization of boys and men. Co-author William Seymour III MS’97, PhD’99, a psychologist at the Children’s Hospital of Wisconsin and an assistant clinical professor at the Medical College of Wisconsin in Milwaukee, notes that the work’s approach allows men to feel less judged and more understood, which can set treatment on a more productive path. 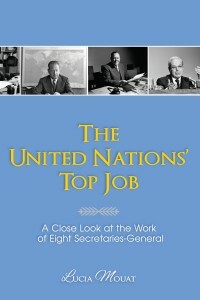 When you hear about the UN’s secretary-general, do you ever wonder what the post entails? With limited legal power, the work of this key global leader and mediator becomes a delicate balancing act — one that Lucia Mouat ’58 examines in The United Nations’ Top Job: A Close Look at the Work of Eight Secretaries-General (CreateSpace). She also studies the varied ways in which the first eight secretaries-general have applied their own special skills in pursuit of a more peaceful world. Now a freelance writer in Chicago, Mouat is a member of the Council on Foreign Relations and was a longtime Christian Science Monitor correspondent and editorial writer who covered the UN as her final assignment. Jack (Jagdish) Bhatt MS’63 concluded his professorial career in 2011 and is now retired in Wesley Chapel, Florida. He taught geology and marine and environmental sciences in Michigan, Oklahoma, New York, Rhode Island, Florida, and Wales. “The interesting part of this story,” he writes, “is that my professors at the UW had doubted my potentiality. 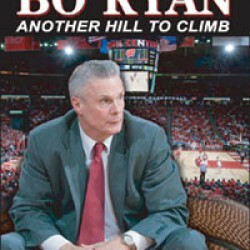 But, I never lost self-confidence, as I believed in my ability to succeed, no matter what the odds. In retrospect, I am truly thankful to all those erudite mentors at the UW for challenging me to do better in life.” Bhatt’s recent works are Human Endeavor: Essence & Mission (CreateSpace); Rolling Spirits: Being Becoming (CreateSpace); a new edition of Odyssey of the Damned: Revolving Destiny (Celecom); and Parishram: Journey of the Human Spirit (CreateSpace). Brooke Bulovsky Cameron ’63 and Janice Levenick Collins ’52 never knew their Aunt Helen personally, but they’ve honored her in Finding Helen: The Letters, Photographs and Diary of a WWI Battlefield Nurse (Mizzoustore.com). 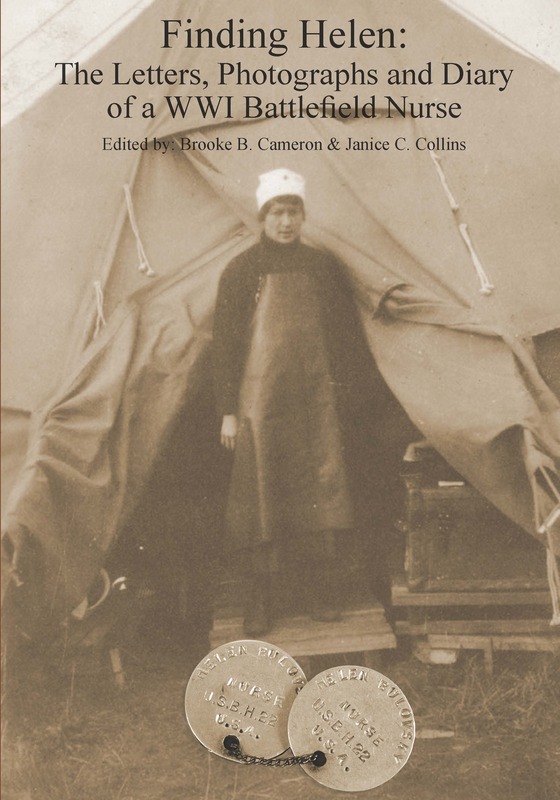 Helen Bulovsky graduated from the Madison [Wisconsin] General Hospital Training School for Nurses in 1917, joined the U.S. Army Nurse Corps, and documented her war experiences behind the front lines of battle in Belgium and France. The co-author cousins based their work on materials found in separate family households and wrote it by email and whenever they could meet in person. Cameron is a professor emerita of art at the University of Missouri in Columbia, and Collins is a retired medical technologist in Milwaukee. 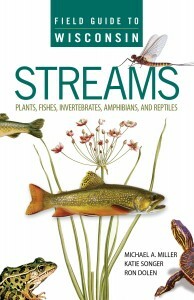 If you want to get knee deep in Wisconsin waters, two new books published by the University of Wisconsin Press should offer great guidance. 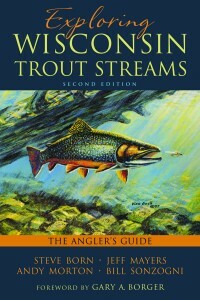 The second edition of Exploring Wisconsin Trout Streams: The Angler’s Guide is co-authored by Steve Born MS’68, PhD’70 and Bill Sonzogni MS’69, PhD74, with a foreword by Gary Borger PhD’71. 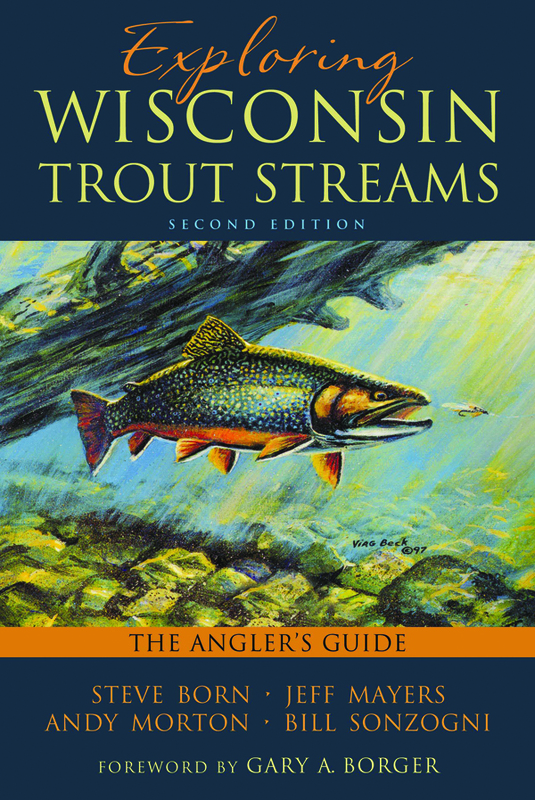 According to Midwest Fly Fishing, “There is no need for anyone to even attempt to come up with a better, more complete introduction to Wisconsin trout fishing” — and it’s hard to argue with that. Field Guide to Wisconsin Streams: Plants, Fishes, Invertebrates, Amphibians, and Reptiles is lauded as the “ultimate companion” for learning about the flora and fauna inhabitants of the Badger State’s eighty-four thousand miles of streams — and you may thank co-authors Michael Miller ’85, Ron Dolen MS’09, and Katie Songer MS’09. In Modern Hebrew: The Past and Future of a Revitalized Language (McFarland), Norman Berdichevsky MS’71, PhD’74 follows the evolution of the language, examines its social and political aspects, and explores its mechanics, how it overcame obstacles to become a spoken vernacular, how it can serve as a model for other national revivals, and the dilemmas it faces as Israelis, Israeli Arabs, and Jews of the Diaspora speak it differently. 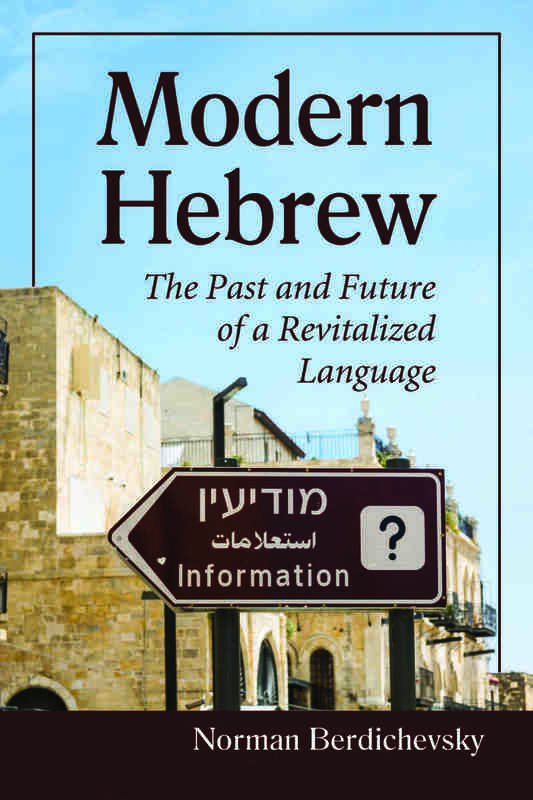 Berdichevsky, of Orlando, Florida, is a former lecturer on Judaic studies at the University of Central Florida and is now a translator, freelance writer, and lecturer on history and culture for several cruise lines. Thomas Christensen ’71, MA’72 and his wife, Carol Novshek Christensen ’72, met in a UW geology class, taught English in Guatemala, and together translated Like Water for Chocolate . Thomas was later the director and editor-in-chief of the publishing company Mercury House, and he’s currently the director of publications at the Asian Art Museum of San Francisco. 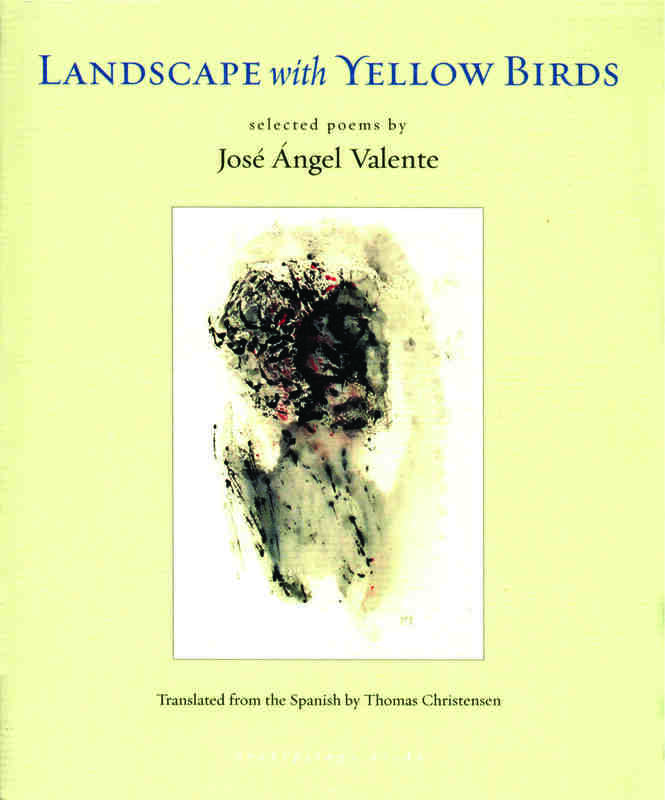 His most recent book — a translation of selected poems by Spanish postwar poet José Ángel Valente — is Landscape with Yellow Birds (Archipelago Books), from which he read at the Library of Congress and for which he embarked on a book tour sponsored by the Spanish embassy. 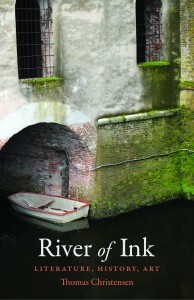 He also has a new book of essays — River of Ink: Literature, History, Art — coming soon from Counterpoint Press. 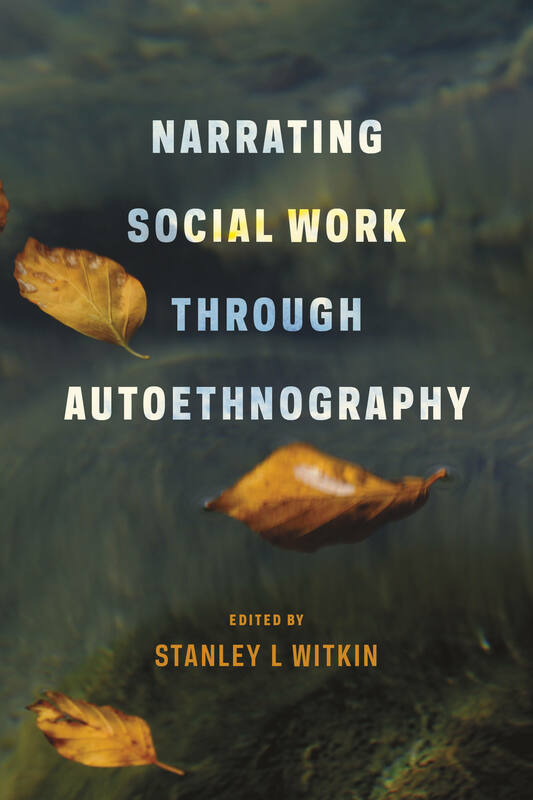 Autoethnography is an innovative approach to inquiry that falls between science and literature, blending researcher and subject roles, and using analytical strategies to explore the social and cultural contexts of meaningful life experiences and their personal implications. 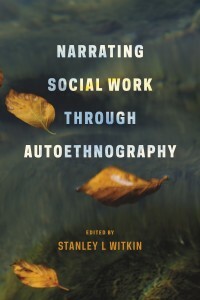 It’s the approach that editor Stanley Witkin MS’74, PhD’76 has sought for Narrating Social Work through Autoethnography (Columbia University Press), an essay collection that covers international adoption, cross-dressing, divorce, cultural competence, grave illness, transformative change, and more. Witkin is a professor of social work at the University of Vermont in Burlington and president of the Global Partnership for Transformative Social Work. Broadway aficionados, this one’s for you! Tighe Zimmers MD’75 has authored Lyrical Satirical Harold Rome: A Biography of the Broadway Composer-Lyricist (McFarland), about the man whose biggest hits, running from 1937 until 1965, included Call Me Mister, Wish You Were Here, Fanny, Destry Rides Again, I Can Get It for You Wholesale , and The Zulu and the Zayda . Rome was politically active; his songs contributed to the home-front efforts during WWII, both as a civilian and as an army corporal; and he was an esteemed painter and collector of African art. 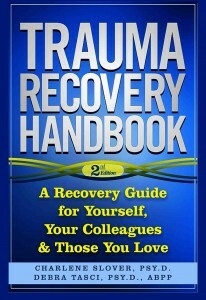 Author Zimmers is a Chicago physician whose previous writings include numerous articles on emergency medicine. When a man returns from the Vietnam War, he seeks the happiness that he believes is his right in Paul Maurer ’83’s Consider the Night (Lulu). But the horrific memories of war and a present life of disillusionment transform him into a loner who must face evil, a return from his past, and an unexpected arrival in order to grasp at a new life and his last chance for absolution. 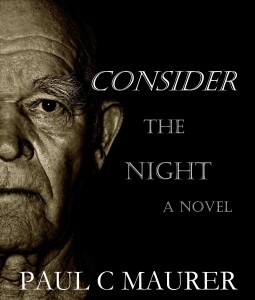 Maurer lives in Oak Creek, Wisconsin, where he’s also published the young-adult novel Touched , short stories, song lyrics, and other works. After you’ve hunted, fished, foraged, or purchased something wild to eat, you have to know how to cook it. 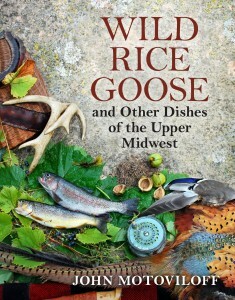 That’s where John Pallitto Motoviloff MA’92’s new Wild Rice Goose and Other Dishes of the Upper Midwest (University of Wisconsin Press) comes in: its clear, tested recipes reflect the region’s ethnic riches and revive overlooked dishes that were popular in the past, and its lyrical prose is like good gravy over the top. 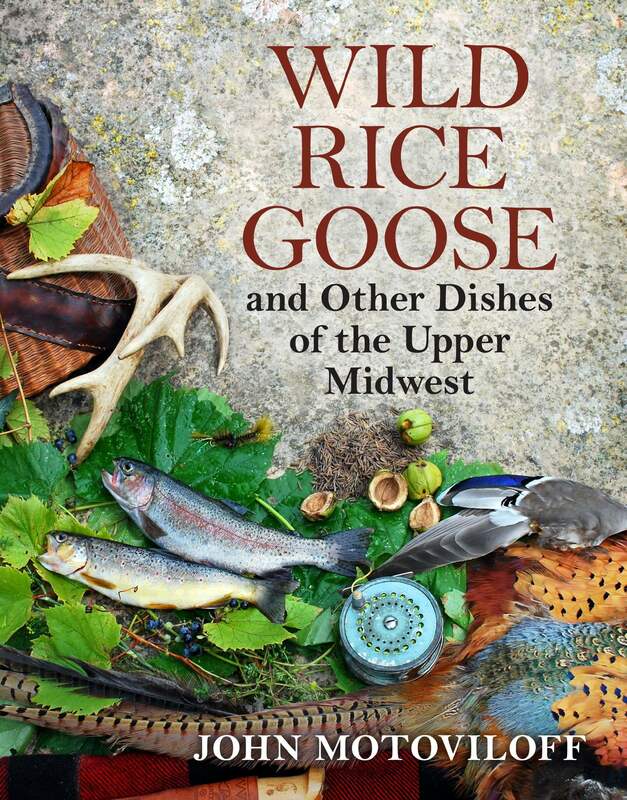 Motoviloff is a skilled hunter, fisher, and forager who’s in the field more than one hundred days a year and shares his expertise through wildfoods-cooking workshops. He splits his time between Madison and a cabin in Wisconsin’s Kickapoo Valley. Many American cities are experimenting with school choice, a controversial idea that’s dramatically reshaping public education. Educator, education activist, and organizational change consultant Sam Chaltain ’93 believes that before we can answer the questions swirling around the issue, we must put a human face on it. In Our School: Searching for Community in the Era of Choice (Teachers College Press), he chronicles a year in the life of one new charter school and one older neighborhood school in his home city of Washington, D.C., and blends the observations and emotions of those whose lives intersect there. “Black performance theory helps us decipher the imperatives of blackness,” begins the foreword to Black Performance Theory (Duke University Press). 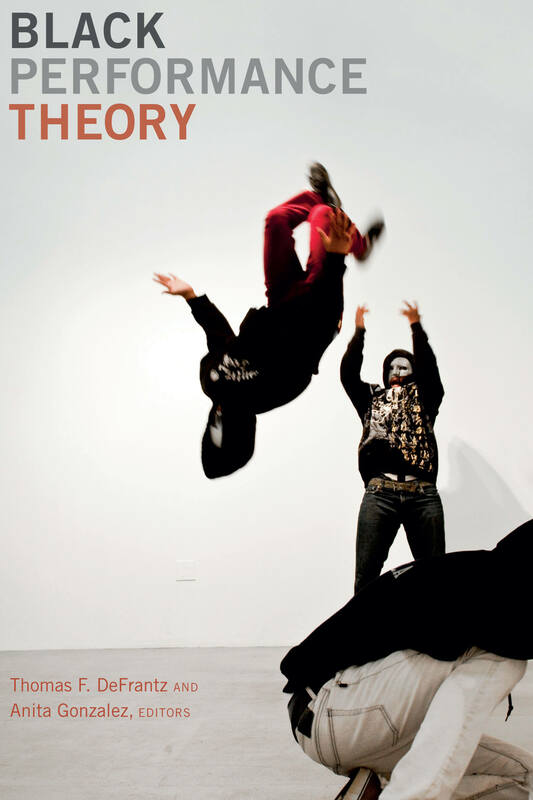 Co-edited by Anita Gonzalez PhD’97, the work offers new essays by some of the pioneering thinkers and performers in the field, who examine choreography, plays, music, writing, and dance. 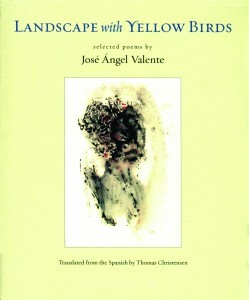 Gonzalez is a professor of theater at the University of Michigan in Ann Arbor. 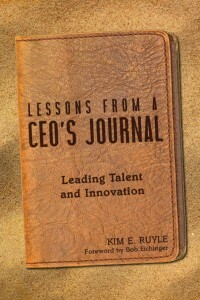 A fictional retired entrepreneur/CEO shares insights — over the course of an imagined Caribbean cruise — on how business leaders can land top talent and capitalize on it in Kim Ruyle EMBA’97’s entertaining Lessons from a CEO’s Journal: Leading Talent and Innovation (Inventive Talent Consulting). 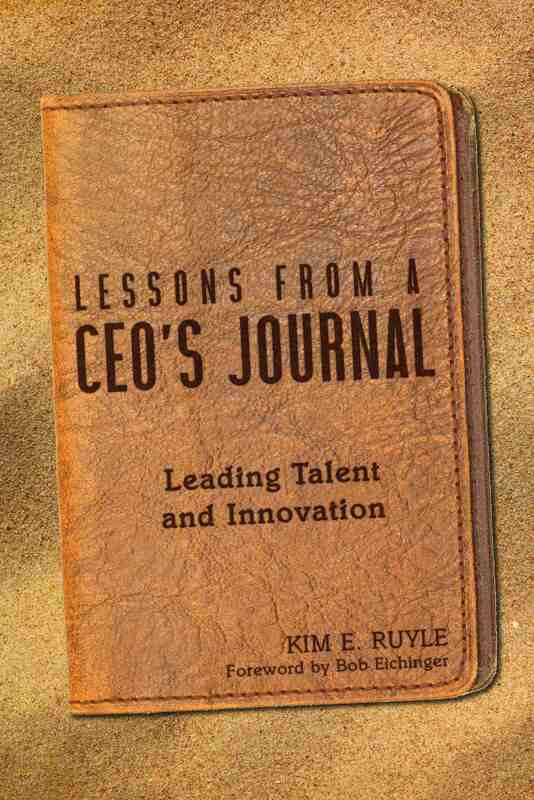 Ruyle is the president of Inventive Talent Consulting in Coral Gables, Florida; an associate in Korn Ferry’s Global Associate Network; and the co-author of four other books on talent management. In 1894, two Wisconsin game wardens were dispatched to arrest Joe White, an Ojibwe chief, for hunting deer out of season and off reservation. They eventually beat White and shot him in the back as he attempted to flee, fatally wounding him. The wardens were charged with manslaughter in a county court and tried by an all-white jury. Erik Redix ’00’s historical study The Murder of Joe White: Ojibwe Leadership and Colonialism in Wisconsin (Michigan State University Press) contextualizes this event within the decades of struggle of White’s community at Rice Lake to resist removal to the Lac Courte Oreilles Reservation. The author, a member of the Lac Courte Oreilles Band of Lake Superior Ojibwe, is an assistant professor of American Indian Studies at the University of Minnesota-Duluth. The first rhetorical biography of an inspirational activist who was known for her electrifying speeches is A Voice That Could Stir an Army: Fannie Lou Hamer and the Rhetoric of the Black Freedom Movement (University Press of Mississippi), by Maegan Parker Brooks MA’05, PhD’09 of Denver. Using symbols — images, words, and even physical objects — to effect social change, Hamer rose to prominence at the 1964 Democratic National Convention and throughout the 1960s black freedom movement. Brooks is also a lead researcher on a forthcoming documentary about Hamer. 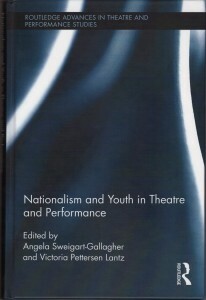 A new collection of essays co-edited by Victoria Pettersen Lantz MA’05, PhD’10 opines that children around the world — though often seen as excluded from public discourse and political action — do actually engage with politics and nationalism through theater, performance, parades, and protests. Nationalism and Youth in Theatre and Performance (Routledge) includes contributions by Erika Hughes MA’03, PhD’09; Joohee Park PhD’10; and UW theater professor Manon van de Water. Lantz is an assistant professor of English at Sam Houston State University in Huntsville, Texas. 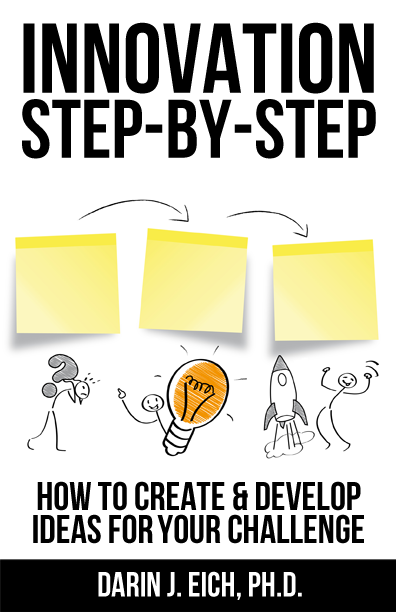 Madisonian Darin Eich PhD’07 seeks to “demystify innovation in seven simple steps” in Innovation Step-by-Step: How to Create & Develop Ideas for Your Challenge (CreateSpace), offering simple systems, practical tools, and skill-development exercises to help readers thrive in a quickly changing world. 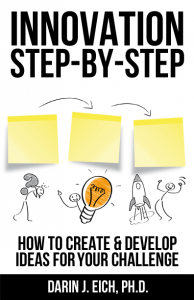 Eich is a professional speaker, a product and service creator, the founder of InnovationLearning.org, and the author of Root Down & Branch Out: Best Practices for Leadership Development Programs .